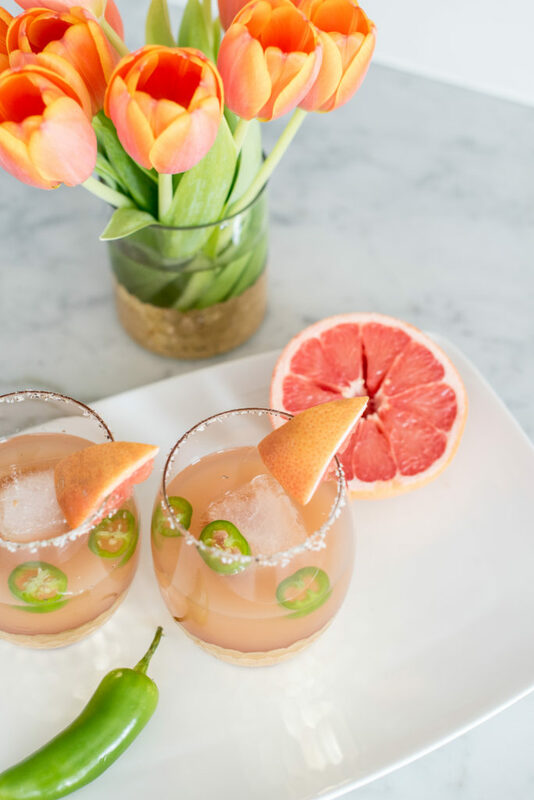 What better way to kick off Cinco de Mayo and the weekend (yay for Friday holidays) than with this Jalapeno Grapefruit Margarita?! 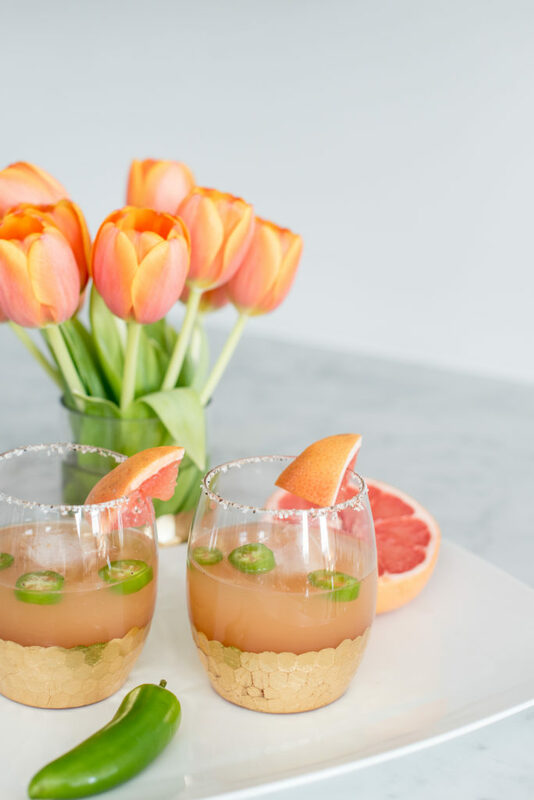 Sometimes you need to switch it up and while I love a classic marg as much as the next gal; this spicy, yet fruity margarita was a nice change and definitely a new favorite. I was inspired by a recipe from EatWell101 and made a few tweaks for my taste. Try it out this week! Use a lime wedge along rim of glasses and dip into combined salt/pepper mixture. 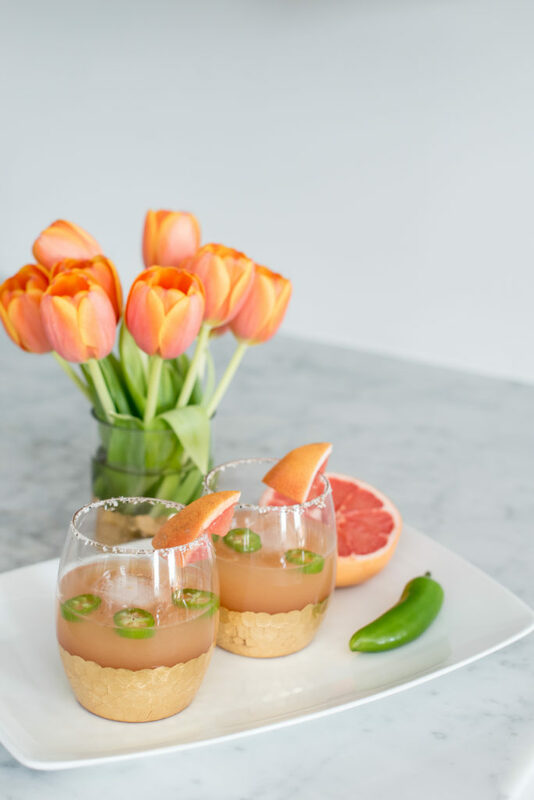 Combine tequila, grapefruit juice, lime juice, honey and jalapenos into a pitcher and refrigerate for at least an hour (the longer you let sit the spicier the drink so check to taste). Remove from fridge and remove jalapenos. 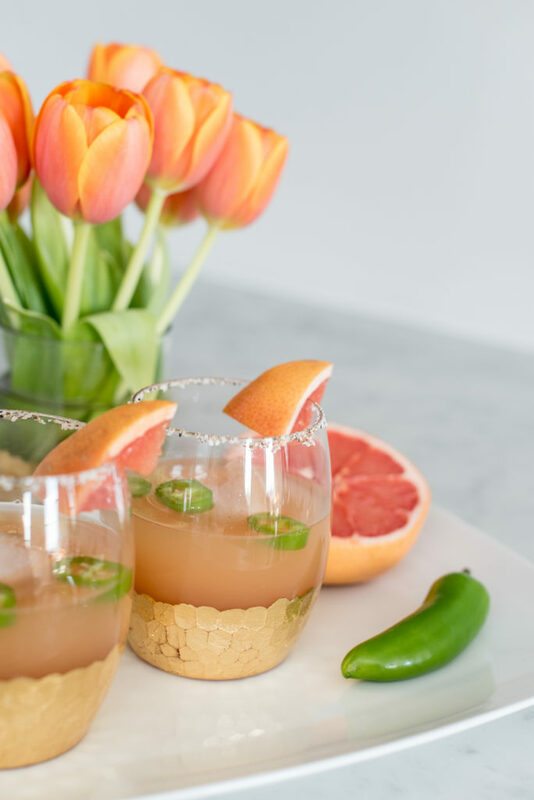 Serve over ice and garnish with jalapeno slices and grapefruit or lime wedge!